Youtuber Arin Hanson, also known by his online persona "Egoraptor" has come out with the latest in his Sequelitis series, breaking down original games from their sequels, and analyzing the differences in what makes a good game as opposed to a good sequel. Previous installments include Castlevania, MegaMan, and Super Castlevania. This time, Hanson tackles what is considered by many to be the crown jewel of not only the Legend of Zelda franchise, but the crowning achievement of the Nintendo 64 game console. 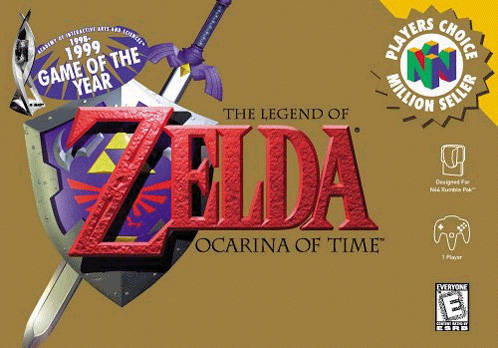 So, has Ocarina of Time been ruined for you forever and your childhood memories stomped into the ground? No. Of course not. There is a reason it is considered many peoples favorite Zelda game and viewed so highly. It is still a very good game and is very fun to play. As all games, it has its strengths and weaknesses. This merely shows the difference between what makes a good game and what makes a good sequel, and where Ocarina of Time may in fact be the crowning achievement of the Nintendo 64, that does not mean it remains a good sequel. Do you think Legend of the Zelda: Ocarina of Time still holds up today, or does this video make you re-think how games-particularly games of a certain era-are made and compare to each other? Let us know in the comments.